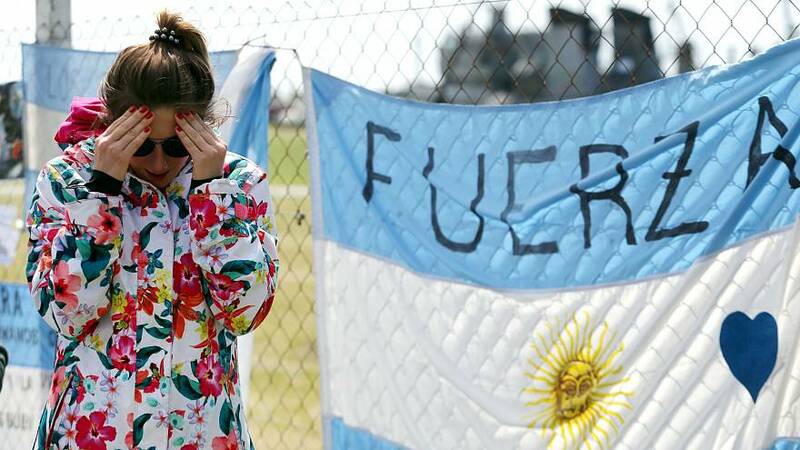 The Argentine president, Mauricio Macri, has promised that investigations into the disappearance of a navy submarine will reveal the truth about what happened. Speaking to reporters he said: "Clearly, this occurrence is going to require a serious, deep investigation that will bring us the truth. "This means understanding how a submarine that had received mid-life maintenance and was in perfect condition to navigate apparently suffered this explosion." Families of the 44 crew on board the ARA San Juan are beginning to lose hope and are now demanding answers after the navy said an incident "consistent with an explosion" was detected near the sub's last-known location. One of the crew is Alejandro Damian Tagliapietra. His father Luis Tagliapietra is unhappy about the way in which the sitation is being handled. "I hope that we are able to find the submarine and that we can know the truth about what happened," he said. "Because if things stay as they are then we will never learn the truth. Because here, as in many places in the world, politicians take care of themselves." Nothing has been heard of from the ARA San Juan or the 43 men and one woman on board since 15th November but an international search operation will continue.